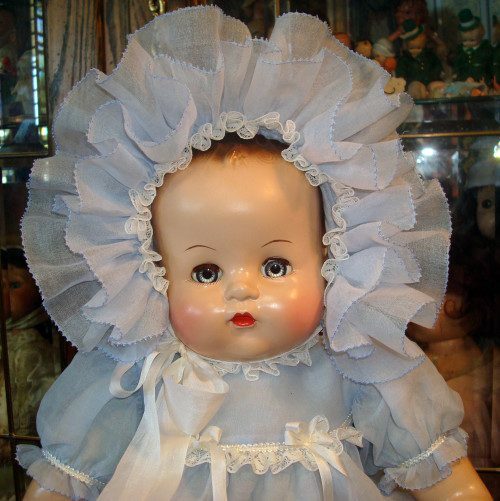 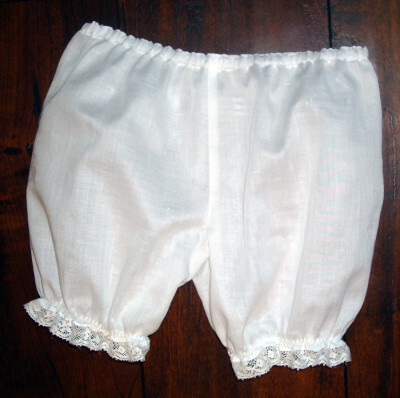 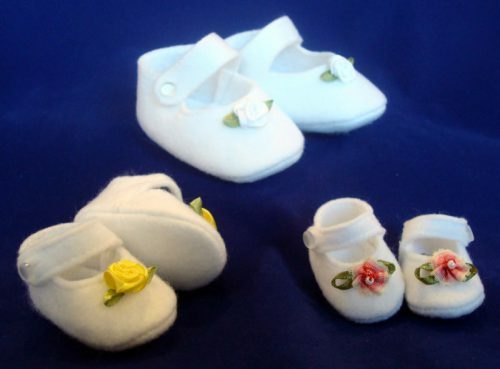 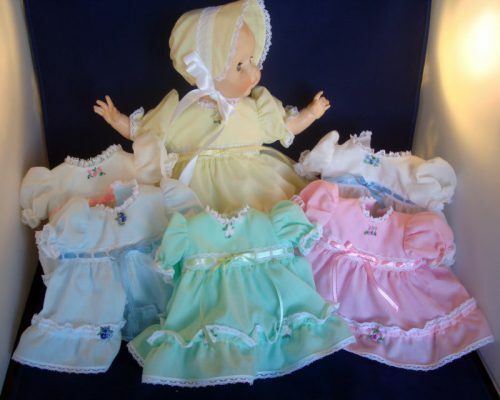 Antique/Vintage Style Baby Doll Clothes – All these antique or vintage style baby doll clothes are made of cotton, silk, or rayon trimmed with cotton lace, and silk or rayon ribbon. 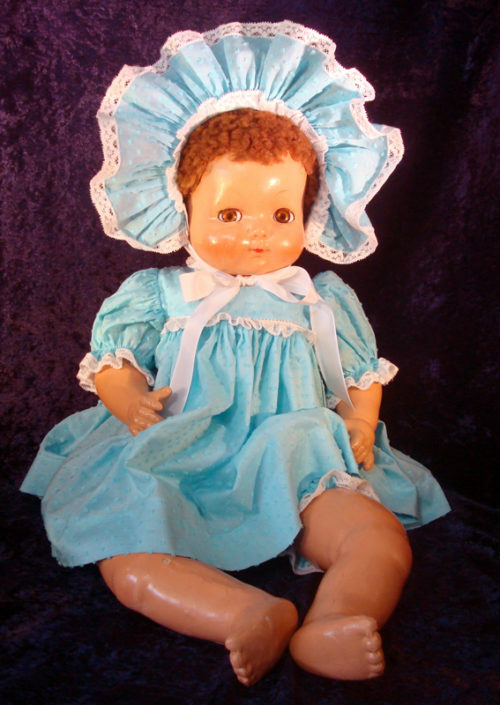 My designs are either exact copies of the original dress, or created from pictures of the original doll. 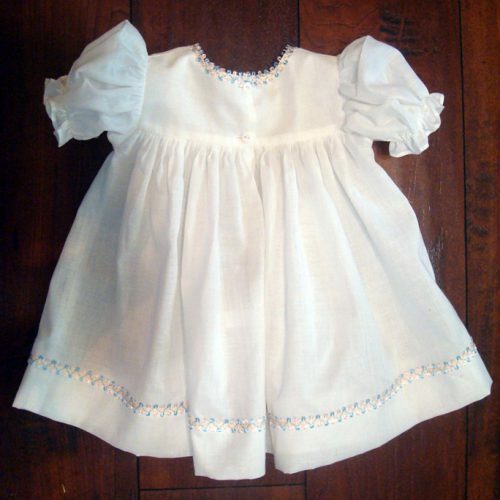 Many of the dresses and outfits are made from antique or vintage fabrics. 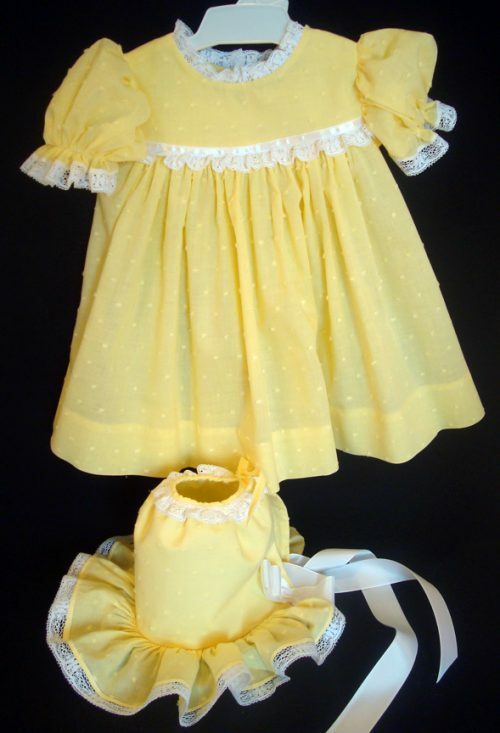 All of my outfits are made to fit the original composition dolls. 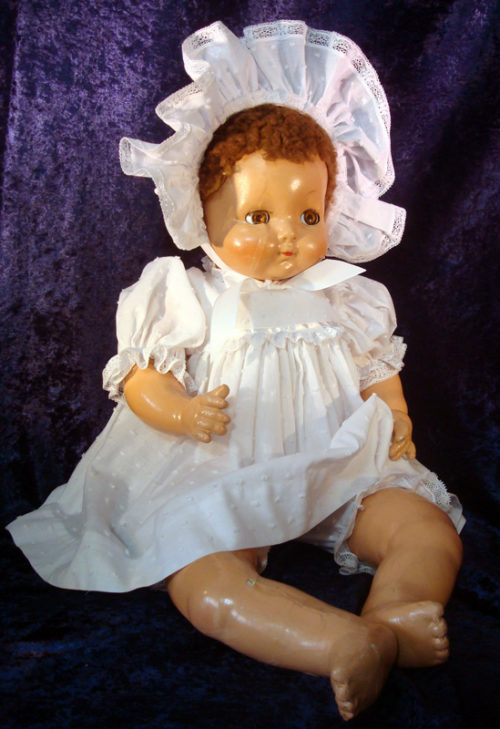 Clothes for Vinyl Babies – These dresses are made for the really chubby babies with cloth bodies and vinyl arms, legs, and head that were made from about 1960 to present. 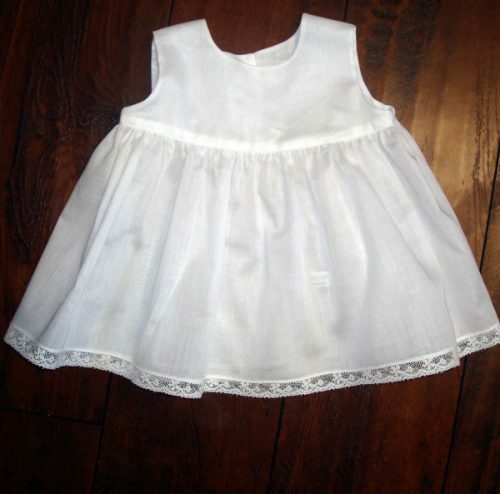 The fabrics and trims are modern with the dresses made mostly of a poly/cotton blend and trims are of nylon, polyester, or rayon.